OFRA Cosmetics has gone through a complete re-branding, changing their logo and packaging design to a more sleek, modern and clean look. Another new idea that came with the re-branding is the OFRA Family, an influencer program in collaboration with Boozyshop.nl. I was asked by the online store to be a part of the #OFRAfam, which I gladly accepted. Since I always like to be transparent about the collaborations I have, so I’m going to tell you what’s in it for me and most importantly, what’s in it for my followers! 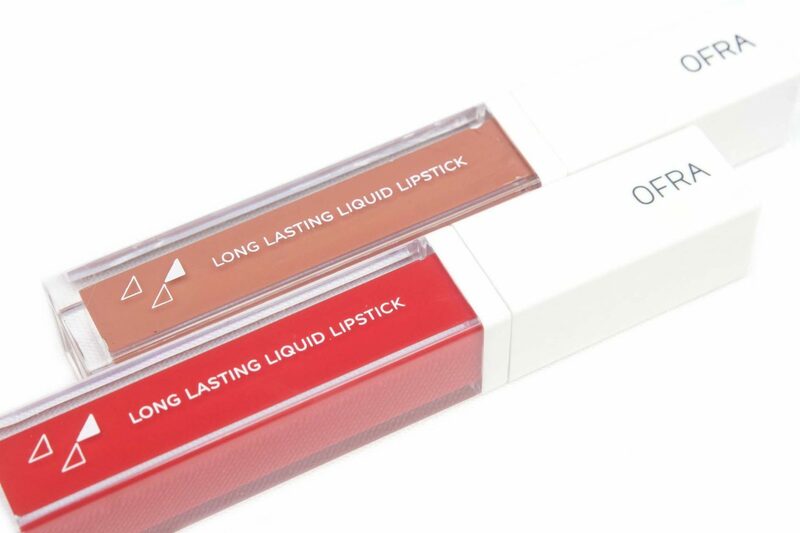 The YouTuber MannyMUA has collaborated with Ofra Cosmetics to create three Long Lasting Liquid Lipsticks in the shades Aries, Charmed and Hypno. I’m a big fan of Manny and really enjoyed his collab with Makeup Geek. I never tried Ofra’s Liquid Lipsticks before but I heard great things about the formula, so I thought this was the perfect opportunity to try them out. These shades were supposed to be Limited Edition, but due to many request of fans, these shades became permanent! Therefore, I’m very happy to show you swatches of the Manny x Ofra Liquid Lipsticks in Aries, Charmed and Hypno.